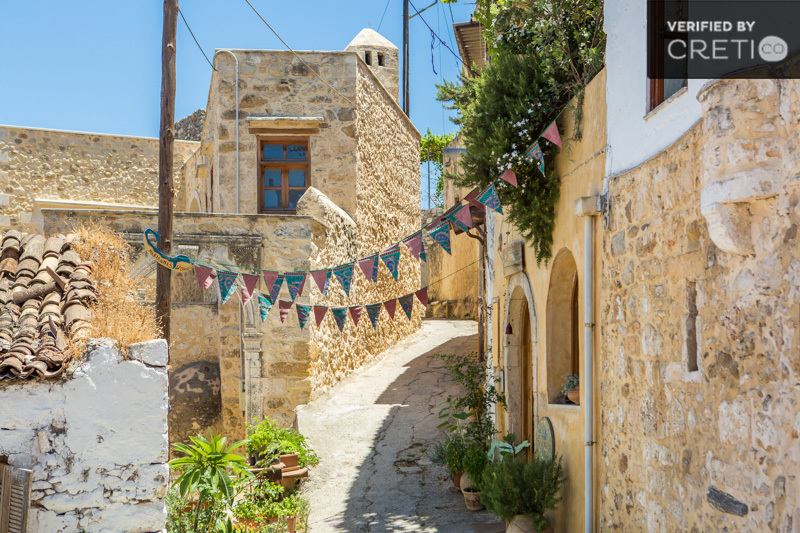 Maroulas in Rethymnon, Crete, is a traditional village at an altitude of 240 m. It is 10 km from Rethymnon city, with 192 permanent residents and full of Venetian characteristics. Maroulas is a real time machine which takes you back in time, in the middle age, the Renaissance and the years of Turkish occupation. The village is strategically located, as it is built on the mountain, but also has a panoramic view of the Cretan Sea. The towers, the cisterns, the serpentine paths, the chimneys, the arches and the stone-made doors are only some of the things you will discover when you walk the paths of Maroulas in Rethymnon, while in the same time, your imagination will make you to see chatelaines, unfulfilled loves, dragons and white horses. Many nationalities left their mark in the history of Marulas. At first, the existence of the Minoan civilization is evidenced by the Minoan cemetery with the carved graves, which is located only 700 m west of the village. When the Venetians conquered Crete, they used their architectural knowledge to build towers, watchtowers, mansions, barracks and oil presses. During the Ottoman conquest, Ottomans added their own oriental touch in Venetian architecture. All these foreign elements were combined harmoniously with the elements of Cretan tradition. The outstanding monument in Maroulas in Rethymnon is the Big Tower, one of the three towers that existed in the village in the past years. 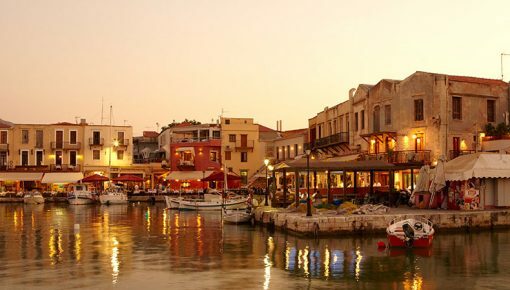 The Venetian tower has a height of 14 m and a great view to the “Fortezza” fortress of Rethymnon. During the Turkish conquest it was used as an observation post for defense and later, after the Asia Minor disaster, it was used as a shelter for the refugees. 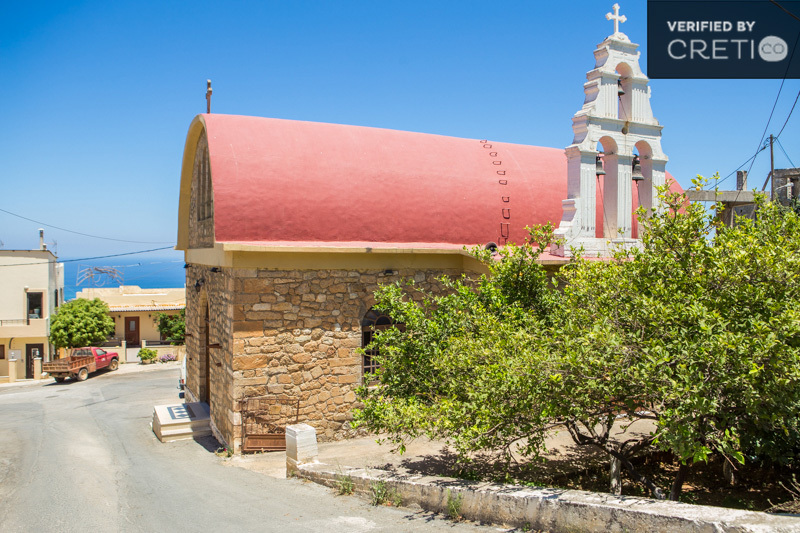 It was renovated by the Municipality of Rethymnon in the 90s. In addition to the tower, there are other sights that somebody should visit in Maroulas: the “Barracks” that were used as accommodation for the guards of the gentries fields, the buildings complex “Metohi” with distinct elements of Renaissance and Muslim style and, of course, the “Fountain”, the natural spring of the village. 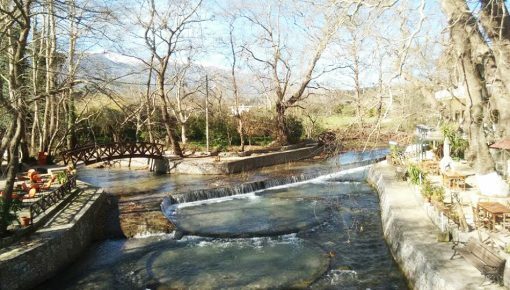 This spring, along with the numerous cisterns that even now exist in the village, were used for the water supply of Maroulas. The water of the “Fountain” is not drinkable now, but it is worth to rest under the shade of the big plane there. In addition to sightseeing, you can visit the old church and the picturesque square of the village with its traditional tavern and its small, traditional coffee shop and spend a pleasant time with the locals. 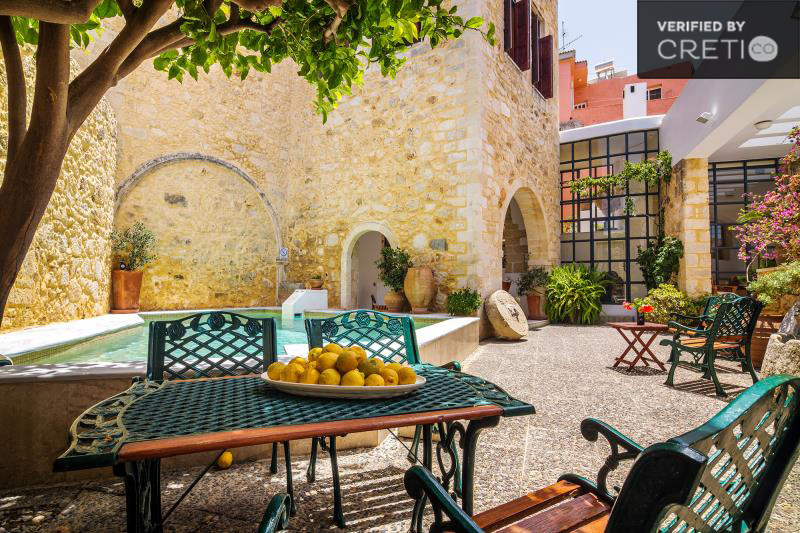 As regards your accommodation, many old, renovated Venetian buildings are used by their owners as holiday villas. 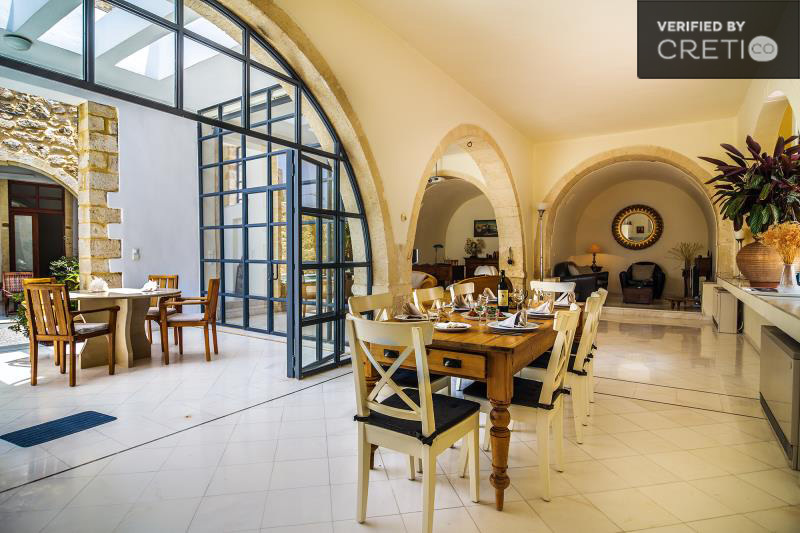 A holiday villa in Maroulas, may not offer the luxury that somebody would imagine, but it offers the comfort, the wonderful view of Cretan sea and the sense that you are a part of the history of Maroulas. 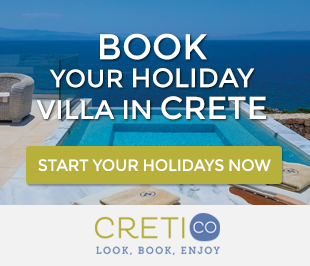 Posted on 04 Nov 2014 in Rethymno and tagged Traditional Crete Villages.